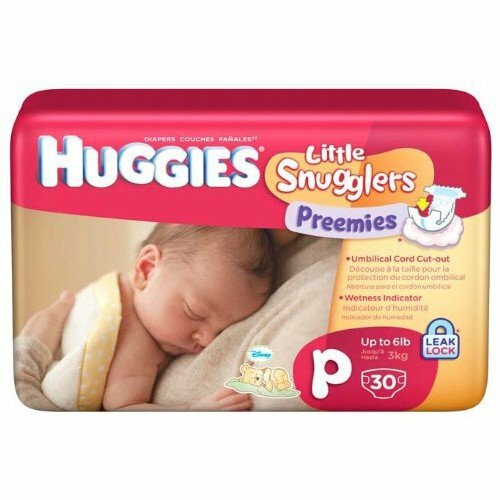 Huggies Preemie Baby Diapers are designed specifically for newborn and premature babies up to six pounds.These Huggies feature a soft w aistband that folds in gently towards bab'ys belly to protect the umbilical cord areas as it is healing. The Dry Touch liner ensures that wetness stays away from baby's sensitive skin while leg bands prevent leakage. The soft stretchy waist band provides and improved fit while the fasteners are larger and offer more stretch. 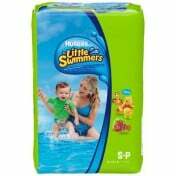 How much does a pkg of 540 preemie diapers weigh? Unfortunately we could not find the total weight of the multi-case. We advise contacting the manufacturer to see if they will be able to provide that information. I'm in need of at least one pack of the nano preemie diapers. Where can I get them? We do not an individual store available to pick up specific items. You can purchase your item online anytime at vitalitymedical.com. You can also place an order with a customer service representative over the phone at 800-397-5899. Our customer service center is open from 7:00 a.m. to 5:30 p.m. Mountain Time. Product arrived sooner than expected. Price was unbeatable. I will recommend this company to anyone that is looking for these sorts of products! I WILL DEFINENTLY BE RECOMMENDING THIS SITE TO OTHERS. 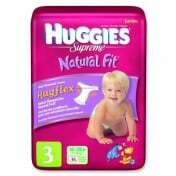 THESE ARE QUALITY DIAPERS SHIPPED FAST RIGHT TO MY DOOR AT A GREAT PRICE. WILL BE BUYING HERE FOR YEARS TO COME !!!! The best price anywhere and super fast shipping. Price Can't Be Beat! Yes, It's REAL! Wow! I thought it was a typo or a scam, I was almost afraid to order and put my credit card number in. But not for long, because to my surprise, the order was delivered in LESS than 24 hours after placing my order. I couldn't believe it I came home and the Huggies were on my doorstep! 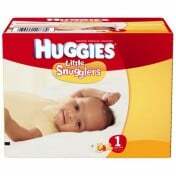 These Huggies are 13 dollars a pack if purchased at WalMart or the local drug stores and they are hard to find at that! I had premature twins who are now 3 months old and they are still wearing these! It has saved me HUNDREDS of dollars! I can't possibly give this company anything but the highest rating possible! I am ordering more today! The price is about 50% cheaper than any local retailer. Shipping was super fast..... Only two days to get here. Thank you very much! Hard to find product at a great price. Fast shipping. Easy ordering . I couldn't have asked for a better experience.